Howls of protests rose above Las Vegas when casinos and resorts started charging for parking in late 2016. Now, one property has reversed that course. 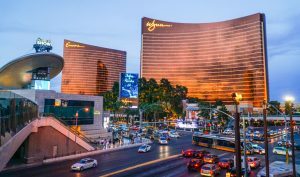 Wynn Resorts announced last week it will stop charging overnight guests for parking, folding parking into its $39 resort fee (which isn’t changing). Daily visitors who spend $50 or more in the resort will also skip paying a parking charge.